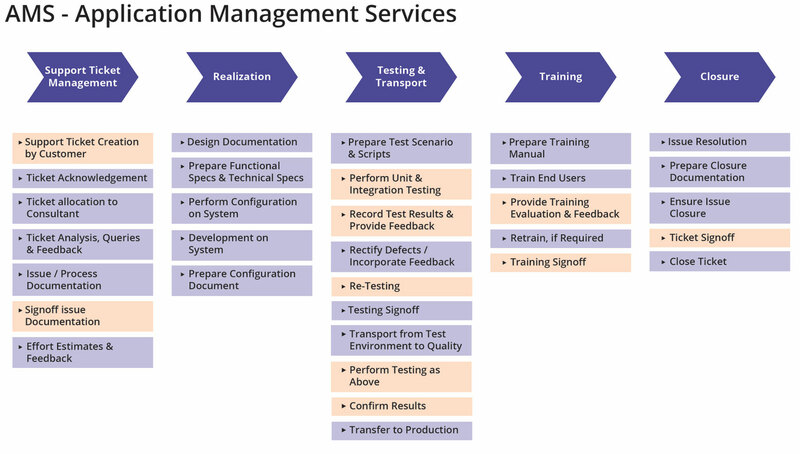 Solutions that help companies in systems management, from supporting the end user to maintaining applications, with implementation of defect corrections and small improvements. The service can be provided at ProCTi’s structure or the client’s facilities. Based on ProCTi’s Delivery Centers network around the world (the One Delivery Network), it provides environmental support and monitoring services 24×7 (nonstop), with world class standards, processes, methodologies and tools. It services all technology environments, in particular projects developed for SAP, Oracle Salesforce and legacy systems.